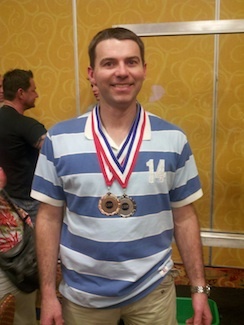 Ben Appleton, commercial manager of Shepherd’s Company of Fulton, won two medals at the International Window Cleaning Association Convention and Trade Show (IWCA) in St. Pete Beach, Florida. 5 countries participated in the contest. Ben cleans windows on a regular basis throughout Missouri as a part of Shepherd’s Company. For more information on Shepherd’s Company window washing services, call 573-642-1439.